Unrated – depends a lot on you. Favours visual minds. I disagree with the Guardian. The Cave of Forgotten Dreams is not a five star experience. It is like being guided through one of the world’s great wonders by a well-meaning but deeply incompetent guide. One might imagine the guide had just started, having recently gone out of business in their crystal-healing trade, or been fired from the happy herb shop for getting people’s change wrong all the time. The guide is still learning the basic facts of the location, but this does not prevent them sharing a great many… feelings. And you, too, shall feel as you witness the film’s footage, but this will likely be in spite of Werner Herzog’s narration rather than because of it. Chauvet Cave in France is an incredible location, and the film is remarkable in that this is the first time filming has been permitted within the cave – it is normally off-limits to the public. The interior is full of beautiful, crystalline formations, as is the case with many large, isolated caves. This is pretty, but what makes it amazing is the ancient, pristine rock art – this cave was visited by early humans over thirty thousand years ago, until around twenty thousand years ago when a rockfall effectively sealed the cave, perfectly preserving its interior. This is truly miraculous, and the art within is quite exciting and evocative- it features animals which are mostly extinct, and the paintings span thousands of years. As an added bonus, the visual experience is shot in 3D – this I missed out on but would make the visual element much more vivid. Although shot by amateurs, there is a lot of cool footage in this movie. 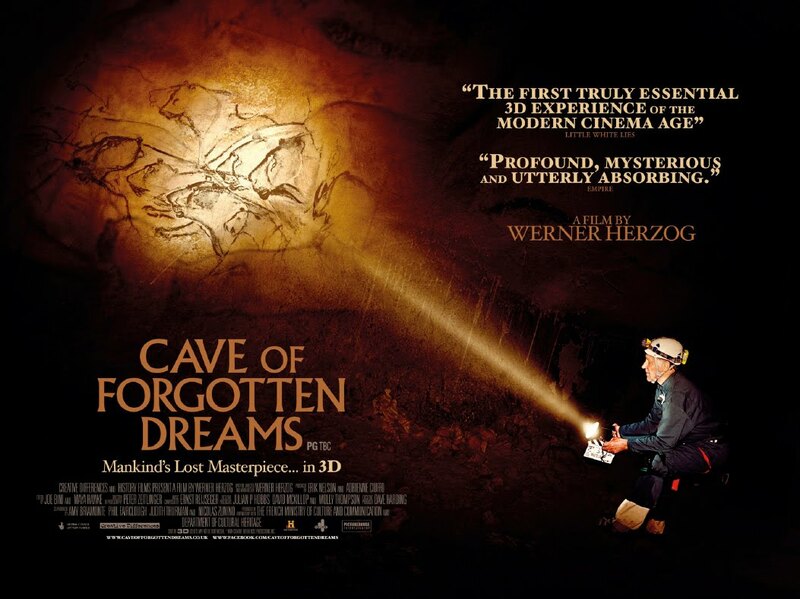 At its strongest, this film evokes deep feelings, and gives a sense of the wonder of Chauvet Cave, and of the vast swath of time between us and the ancestors that made this ancient art. 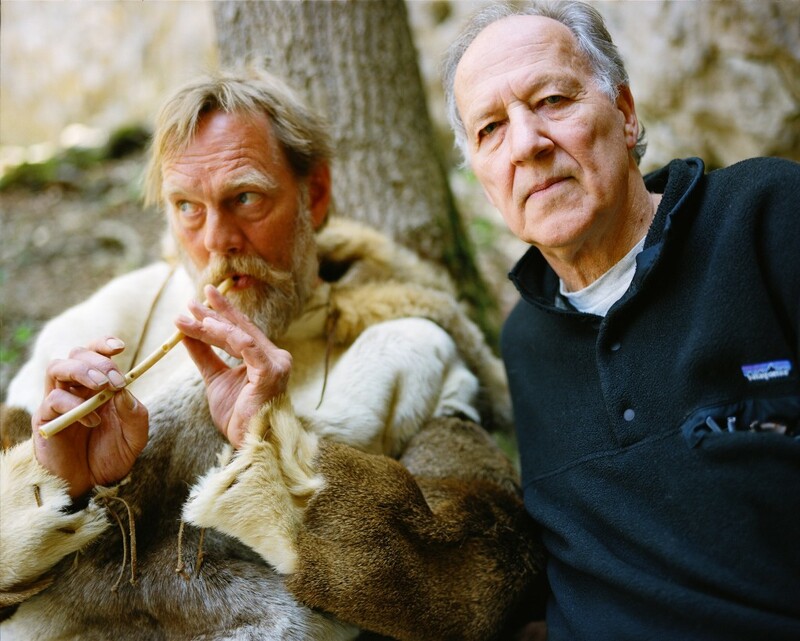 In its weaker moments, the film drags terribly (it is far too long) and triggers a bit of a gag at its many trite reflections – The Mistress reckons Herzog entirely missed the point of the cave and of filmmaking. It is undeniably an unprofessional work, both its storytelling and its cinematography; this means the feel is naive and has all the pros and cons of naivete. It is not quite as coherent or informative as it could be, but its delivery is very human and genuine, in a way that gauche, glossy operators like Discovery Channel or National Geographic special would never be. I feel that there is a happy medium that was missed here, but you may still find it worthwhile to give this one a look. This entry was posted on September 20, 2011 by Philistine. It was filed under Uncategorized and was tagged with Dendy, Films, Movies, Palace Centro, Shrug, Unrated, Veg to this.